Tara Brinkmoeller serves as the Business Development Manager. In that role she is responsible for establishing relationships with new subcontractors, sustaining relationships with current subcontractors, maintaining and enhancing relationships with current and past clients, assisting with the development of proposals, and strategically marketing the firm. 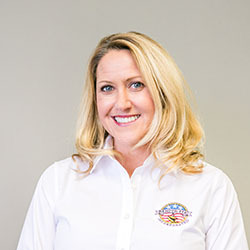 Tara has more than 10 years of experience in marketing and management, primarily in the Building Industry Association arena. She holds a BA in Strategic Communications and a Master Degree in Education from the University of Kentucky. © 2019 Semper Tek Inc..